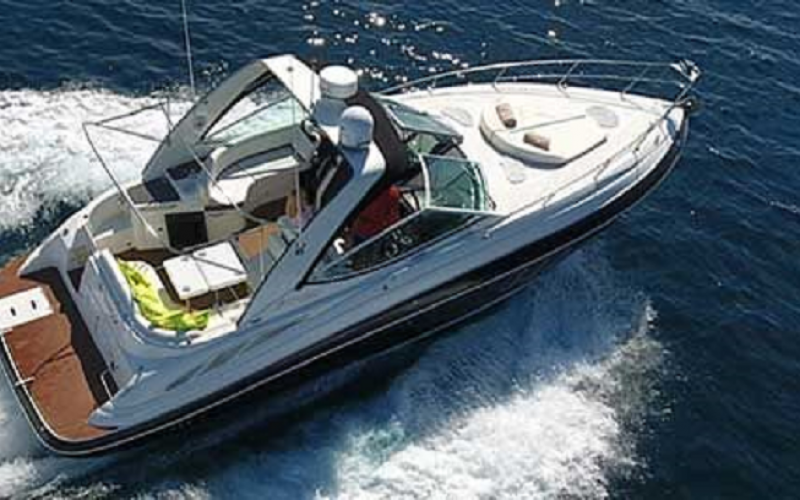 This Cruiser Express 330 is a real classic on the open water. 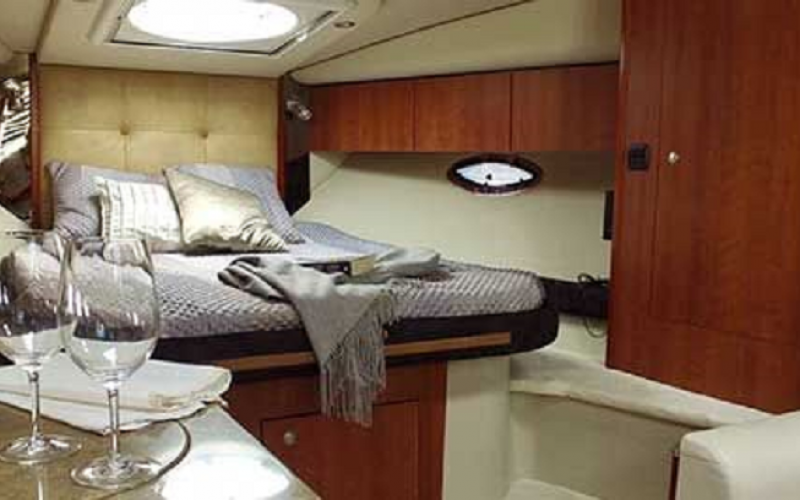 There are 4 beds, a full-equipped kitchen unit, a bath room and a cozy lounge area in the air-conditioned cabin. Just settle in and enjoy the excellent equipment aboard. Don’t worry about enough fun and action. There are 2 Volvo engines with 260 HP each. So the boat gets a maximum speed of 31 knots yet. 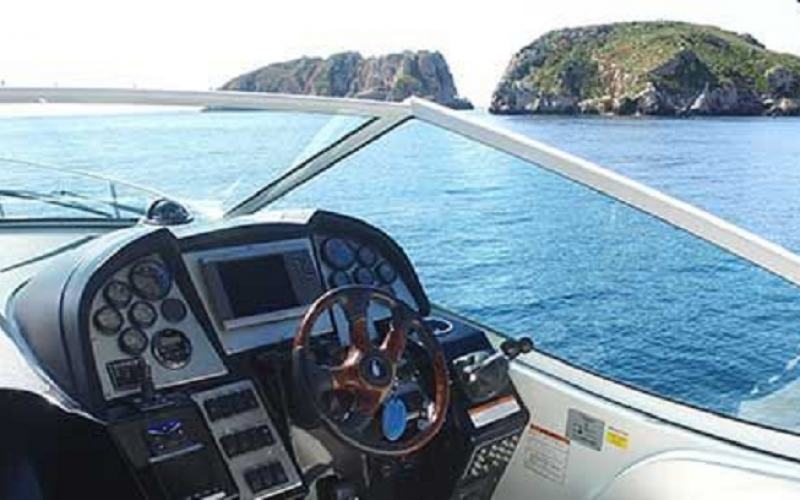 The technical equipment will make lots of fun, there are an autopilot, a bow thruster and GPS available for you. 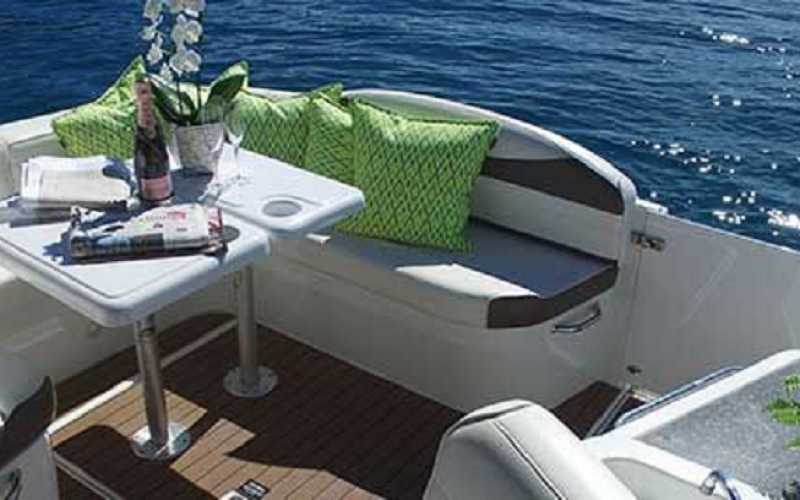 Some cozy sun cushions invite you to relax on deck. 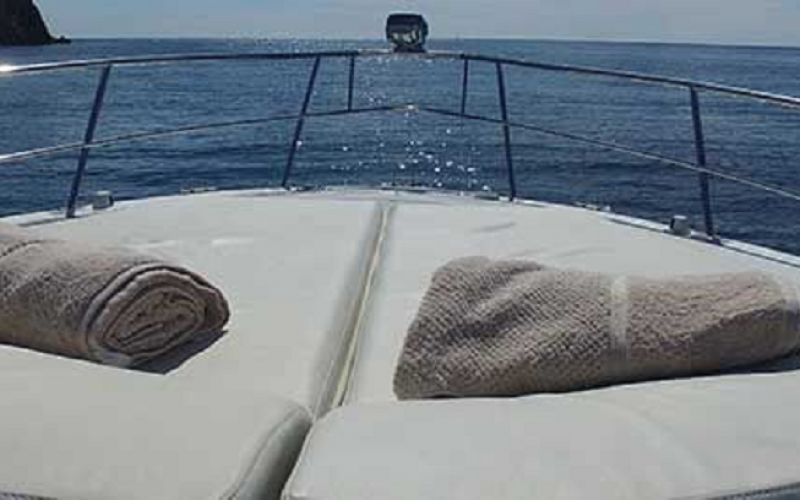 Just enjoy the fantastic view, the sun downer and the beautiful sea on this comfortable boat. 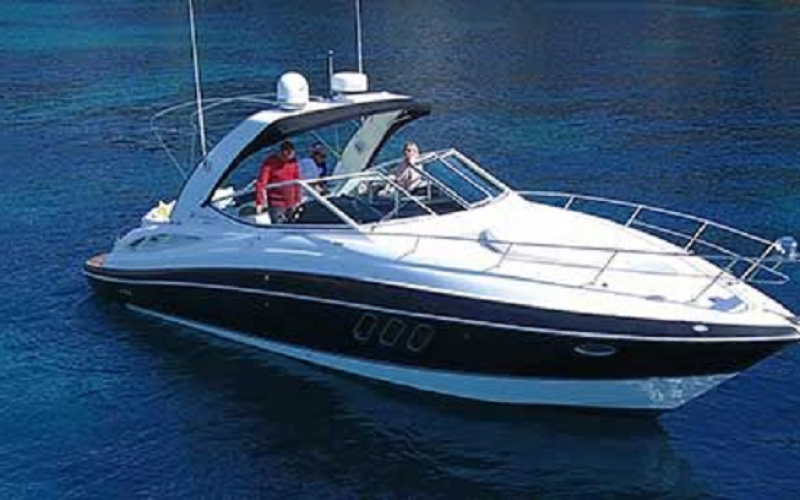 You can rent the Cruiser Express 330 with up to 10 people aboard. You will experience a perfect day on the water, we are looking forward to welcome you soon here in Port Adriano.